Today, July 10, 2018, is the 509th anniversary of John Calvin’s birth. He was a French theologian and pastor of Geneva, as well as one of the principal 16th-century Reformers. Let us notice three things about the Genevan Reformer particularly today, July 10, the anniversary of his birth. First, Calvin was a humble man. C. J. Mahaney lays bare the heart of a humble man: ‘Humility is honestly assessing ourselves in light of God’s holiness and our sinfulness.’ And the Scriptures demand this kind of humility. ‘Finally, all of you, have unity of mind, sympathy, brotherly love, a tender heart, and a humble mind’ (1 Peter 3:8, ESV). Second, Calvin was a contrite man. The contrite is one who is ‘stricken, smitten, or crushed in spirit.’ John Calvin was a man of Christ-exalting contrition. His contrition was Christ-exalting because he knew that Christ was the One he had offended and that Christ alone could free him from his sin. No work could forgive him, no prayer could forgive him; no priest could forgive him. As beneficiaries of the Protestant Reformation, this is a truth we too often take for granted. Even worse, some professing Evangelicals have begun to subtly fall under the spell of the Roman Catholic Church and either forget free grace or ignore it all together. Perhaps it is time for a new Reformation; a radical rekindling of the precious truths that drove Calvin, Luther, Zwingli, and Knox to their knees in contrition as they celebrated the free grace that was theirs in Christ alone! Calvin responded to the truth of God’s Word. He was a sinful man who had a heart that desperately sought to respond obediently to the Word of God. To that end, he preached the Word of God faithfully with all the passion he could muster! Calvin rejoiced in the truth of God’s Word – even difficult doctrines. He rejoiced in difficult doctrines like predestination and conscious eternal punishment. He rejoiced in mysterious doctrines like the Trinity and the hypostatic union. And he rejoiced in paradoxical doctrines like the sovereignty of God and the responsibility of man. So what can a 509-year-old man teach us? We live in an age where technique is king and pragmatism is queen. The church has fallen prey to this vicious cycle. We tend to do what works and invest in what brings results. Steve Lawson writes, ‘The church is always looking for better methods in order to reach the world. 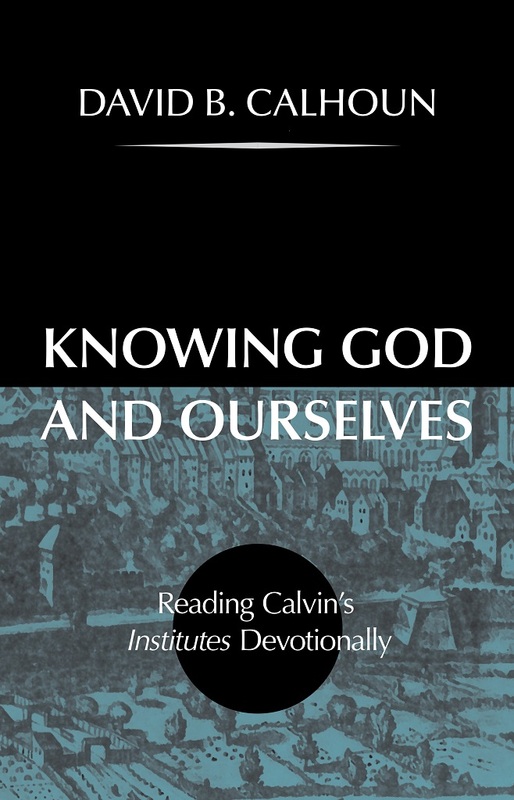 But God is looking for better men who will devote themselves to his biblically mandated method for advancing his kingdom, namely, preaching – and not just any kind of preaching, but expository preaching.’ In a day when preaching is being downplayed and theology is being ignored, we need to remember what Calvin understood, namely, people are transformed by truth. If, while conscious of our innocence, we are deprived of our substance by the wickedness of man, we are, no doubt, humanly speaking, reduced to poverty; but in truth our riches in heaven are increased: if driven from our homes, we have a more welcome reception into the family of God; if vexed and despised, we are more firmly rooted in Christ; if stigmatized by disgrace and ignominy, we have a higher place in the kingdom of God; and if we are slain, entrance is thereby given us to eternal life. The Lord having set such a price upon us, let us be ashamed to estimate ourselves at less than the shadowy and evanescent allurements of the present life. The flaws in Calvin himself remind us of the sinfulness of sin. He was deeply aware of his own sin. But he was also acutely aware of the reality of grace. His life bears witness to this: He was simul iustus et peccator – simultaneously righteous and sinful.. The cry of Calvin’s heart was the Lord Jesus Christ. He constantly pointed sinners to Christ and his cross. May the life of John Calvin serve as an inspiration to live the Christian life with vibrancy to the glory of God. May his courage embolden each of us in the difficult days ahead. When the days grow dark, persecutions escalate, and our freedoms begin to erode, may we remember the motto still etched in Genevan stone, ‘post tenebras lux,’ after darkness light. May his humility, contrition, and trembling before the Word of God mark our lives as well. And may the contemporary pulpit be a reflection of Calvin’s pulpit; may men of God stand behind the sacred desk and faithfully deliver to unchanging truths of Scripture so that saints might be strengthened, edified, convicted, encouraged, and equipped! David Steele (D.Min, Bakke Graduate University) is Senior Pastor at Christ Fellowship in Everson, Washington.